APICMO offers a wide range of products which includes N-Boc-cis-4-hydroxy-D-proline (135042-12-5). It belongs to intermediates category. Contact us for more information. 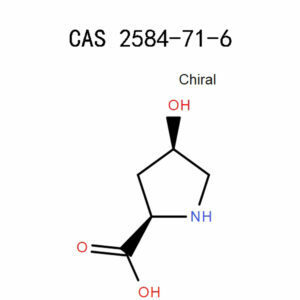 Ethyl N-Boc- and N-Z-α-tosylglycinates were reacted with a variety of aldehydes in the presence of tributylphosphine and a base to afford the corresponding α,β-didehydroamino acid derivatives with high (Z)-selectivity in good yields. 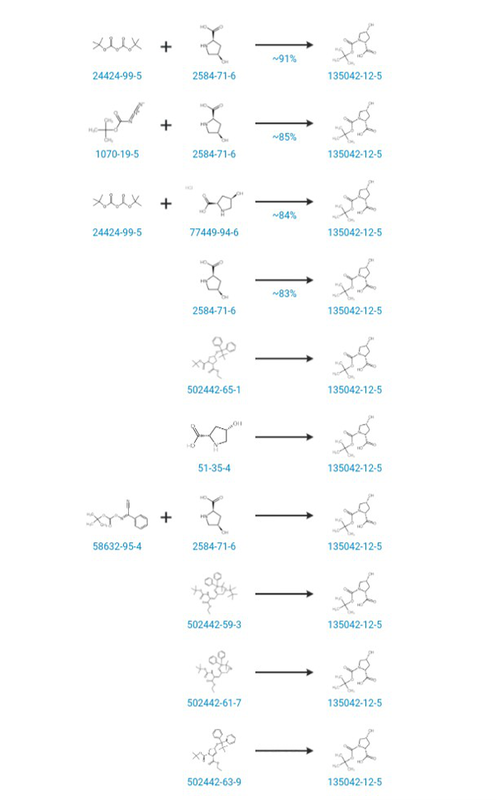 Moreover, ethyl (4S)- and (4R)-2-(N-Boc-amino)-4,5-isopropylidenedioxy-2-pentenoates prepared by the present method were converted to (2S, 4S)- and (2R, 4R)-4-hydroxyprolines, respectively. Too often you may not be sure of where to buy your good quality chemical products. Worry no more, at APICMO we provide you with the best buying experience you’ve ever had. We supply you with high purity chemical products at a highly competitive price. We are a leading pharmaceutical company that manufactures N-Boc-cis-4-hydroxy-D-proline (135042-12-5) among other chemical products. All our products conform to the Common Good Manufacturing Practice and other manufacturing regulations. Order from us today and let us provide you with world-class satisfaction. It is an off-white to the white powder. 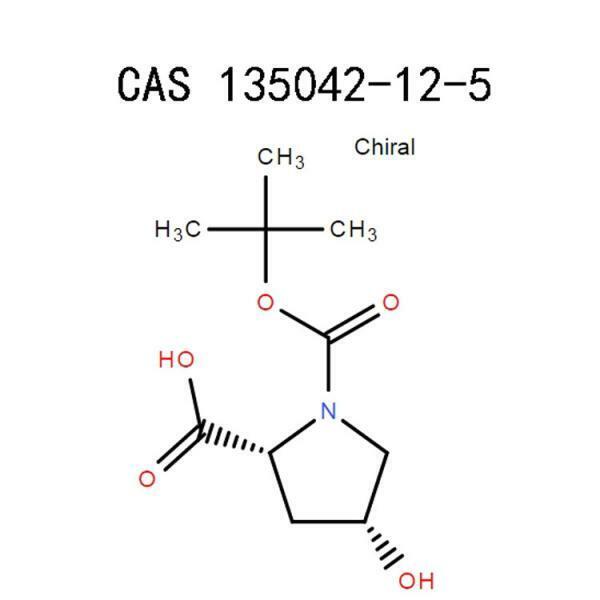 N-Boc-cis-4-hydroxy-D-proline (135042-12-5) is stable under normal conditions. It decomposes when subjected to high temperatures to produce nitrogen oxides, Carbon dioxide, and Carbon monoxide. It irritates the skin once in contact with it. It could cause skin reddening, blisters, and burning/itching. It irritates the upper respiratory tract system once in contact. It may lead to nose congestion, sneezing, nasal discharge, sore throat, and a cough. It irritates the eyes severely once it splashes in them. It may lead to eye reddening, watering, pain, and blurry vision. It is toxic once ingested. It may cause vomiting, stomach pains/discomfort and lack of appetite. An assessment should be done to determine if there is any need to use air-purifying respirators for the task you are performing. If it recommends its use, wear a dust mask of type N95 (US) or type P1 (EN 143) respirator. For higher level protection use type ABEK-P2 (EU EN143) or type OV/AG/P99 (US). Always use tested and approved respirators under appropriate government standards such as CEN (EU) and NIOSH (US). You should select the appropriate skin and body protection gear according to the amount and concentration of the hazardous substance at your workplace. For higher protection, use impervious boots and clothing. At the minimum, you should be in close-toed shoes and a lab coat. To prevent any eye splashes, wear safety glasses with side shields conforming to EN I66. Ensure that you do a fit test to get glasses that are of your size to ensure their effectiveness. Use tested and approved eye protection wear under appropriate government standards such as EN 166 (EU) and NIOSH (US). Wear protective gloves that satisfy the specifications of EU Directive 89/686/EEC and the standard EN 374 derived from it. Ensure that the gloves have no tears before wearing them. After use, remove them using the proper glove removal technique without coming into contact with the outer surface. Get rid of them immediately or clean them if they are reusable. Install eye/body wash equipment in the vicinity of the working area. It will ensure a fast response in the event of an accident. The equipment helps flush off any splashes on the body and eyes and put off the fire on clothes if a fire occurs or body contact. Ensure that there is adequate aeration in the area that you are working on especially in areas where the air supply is low, and where there is the formation of dust. Use of fume hoods and installation of local ventilation systems would do. Comply with all national/local regulations put in place. Remove the victim out of the area of exposure and get him to fresh air. Let them lie in a position that they can breathe comfortably. If they are not breathing, give them artificial respiration, if possible mouth-to-mouth. If they have difficulty in breathing, administer oxygen. Consult a doctor. Clean the material off the skin with a copious amount of running water and non-abrasive soap for a minimum of 15 minutes, as you remove any contaminated clothing or shoes. You can use cold water. Cover the affected area with an emollient. If itching, redness, burning sensation develops, seek the attention of a doctor immediately. Immediately flush the eyes with copious amount of water. If you are wearing contact lenses and they didn’t get off during the flush, remove them. Rinse under the eyelids too by separating them using your fingers. Ensure that your eyes are wide open. You can use lukewarm water. If itching, redness, burning sensation develops, look for a doctor to examine and treat your eyes. If the victim is conscious, let them use water to rinse out their mouth for at least 15 minutes. Do not give an unconscious victim anything through the mouth. You should not induce vomiting without the advice of a physician or a poison center. Comply with all safety regulations regarding the use of chemical products. Use this product in a fume hood. Do not breathe the dust or vapors produced because they might be an irritant. Ensure that there is adequate aeration in the working area. Use only in a chemical fume-hood. Ensure that you are unsuitable protective gear. Do not eat, drink or smoke while using this product as it could lead to poisoning. Ensure that eyewash stations, safety showers, and spillage equipment are near you in case of an accident. Ensure that you use well-labeled containers for easier identification. Return the chemical product in its storage area. Remove the protective gear and clean it, allow it to ventilate before wearing it again. Dispose of all containers and waste material properly. Clean the work surface to ensure that no spills are left out. Clean your hands thoroughly and dry them using a clean towel to avoid recontamination. Tightly seal the container with the remaining chemical product. Ensure that it is well labeled. Keep this product away from unauthorized, untrained or unqualified personnel. Once done with your operations, do not place the containers on bench tops to avoid knock-offs. Place it in a cool place that has sufficient ventilation, and that is far from fire sources and incompatible substances. Avoid skin and eye contact with this chemical product as it is an irritant. Avoid prolonged exposure. Use a lot of caution while handling this product. Avoid inhaling the vapor, mist, and fumes produced by this product. Do not smoke and keep the product away from any sources of ignition because it is flammable. Take measures that will help prevent the build-up of electrostatic charge. Do not let the product to enter into drains. Store the products away from incompatible substances to prevent any reaction from taking place. Store it while tightly capped to avoid spills. Do not consume or store food, drink or tobacco in areas where contamination by this chemical product may have occurred. Contain the spill using a suitable barrier to prevent it from flowing further. Wear an appropriate respirator, heavy rubber gloves, and impervious boots. Mix the substance with sand or similar inert absorbent material, scoop/vacuum/shovel it and transfer it into a suitable closable container ready for disposal. When done, clean the area and ventilate it. Wash the skin immediately with plenty of clean water and dry it. This chemical product should not get into drains or watercourses. If the spill is too much for you to handle, contact a waste disposal company for assistance. 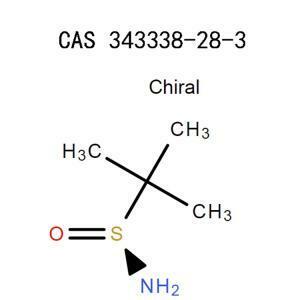 N-Boc-cis-4-hydroxy-D-proline (135042-12-5) reacts with strong oxidizing agents, strong acids and bases. You can burn it in an incinerator fitted with a scrubber and an afterburner. Take extra caution while igniting it because this material is highly flammable. You could also offer surplus and non-recyclable solutions to a waste disposal company that is licensed. Another way is contacting a licensed waste disposal company to assist you in disposing of the chemical waste. 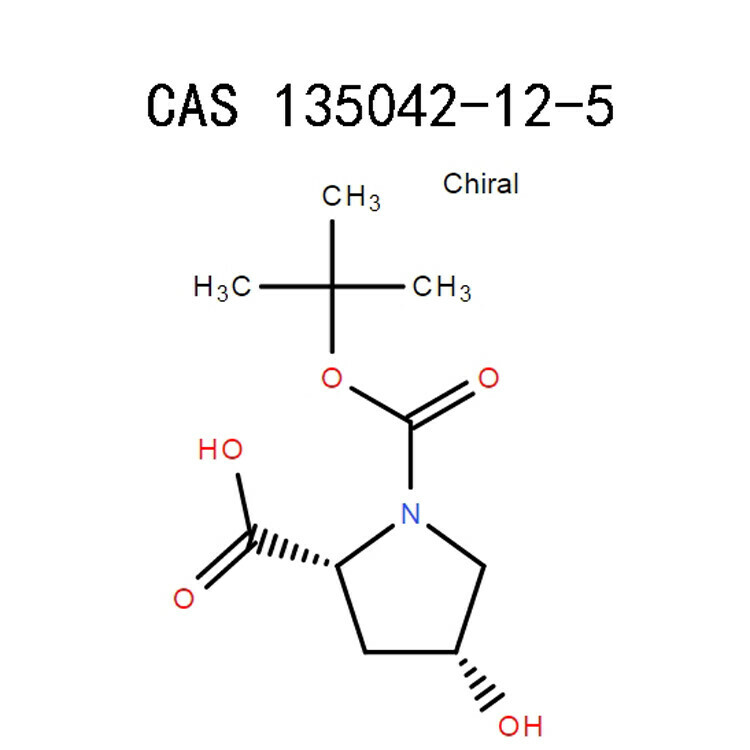 N-Boc-cis-4-hydroxy-D-proline (135042-12-5) is safe to transport by air, water, and road. Whether you need it in small or large quantities, we got you covered. Contact us today for any inquiries that you may have. Chem Sources U.S.A, Directories Publishing Company, Incorporated, 2004, the University of Michigan, page 200. Dynamic Stereochemistry of Chiral Compounds: Principles and Applications, Christian Wolf, Georgetown University, Washington DC, page 204-304. National Centre For Biotechnology Information, US. 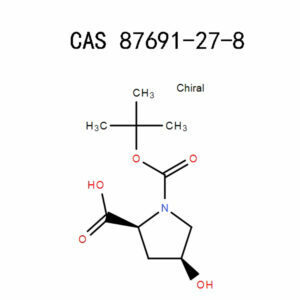 National Library Of Medicine, PubChem, N-Boc-cis-4-hydroxy-D-proline, Sections 1-8.